Boil a large stock pot of lightly sea salted water. Add the green beans and boil until tender crisp, 2 minutes. Immediately place beans in ice water bath. Drain well, pat dry and place the beans in a large bowl. Combine with the feta cheese(if using), tomatoes and red onions. Toast the almonds in a small skillet, 2 minutes. Whisk the olive oil, red wine vinegar, basil, garlic and a little salt and pepper. 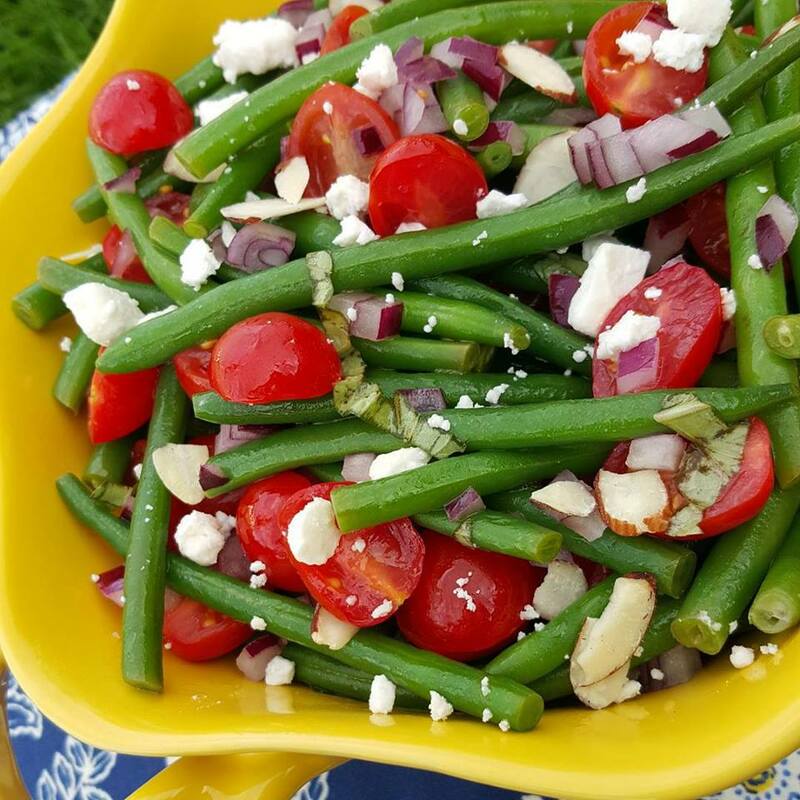 Pour the dressing over the green beans and sprinkle with almonds. Let marinate in the refrigerator for about 1 hour before serving cold.